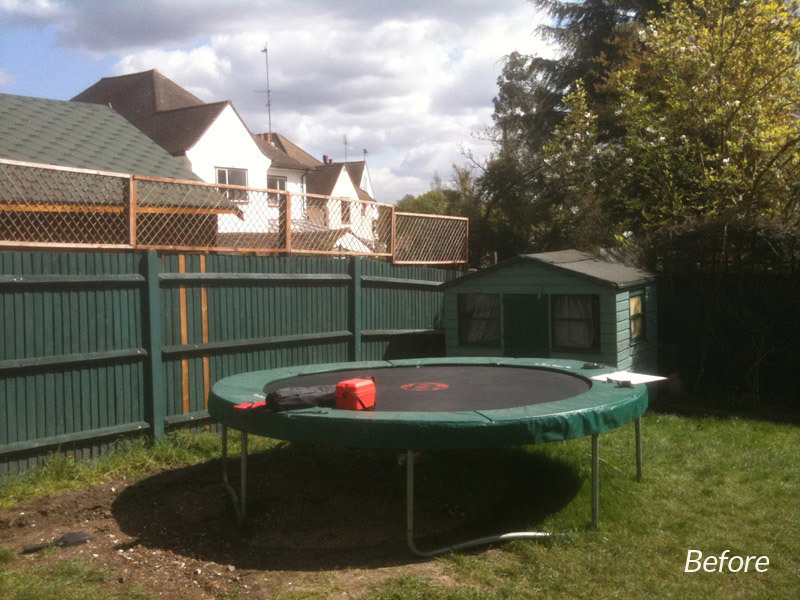 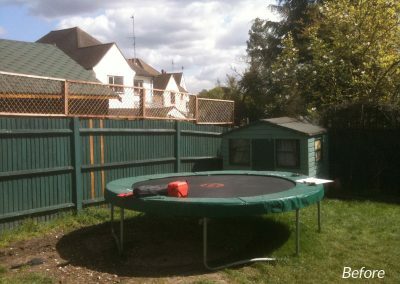 The brief for this garden was to create a sociable space for adults now that the children had grown out of their trampoline! The clients asked for a contemporary, low maintenance scheme that enhanced their privacy. 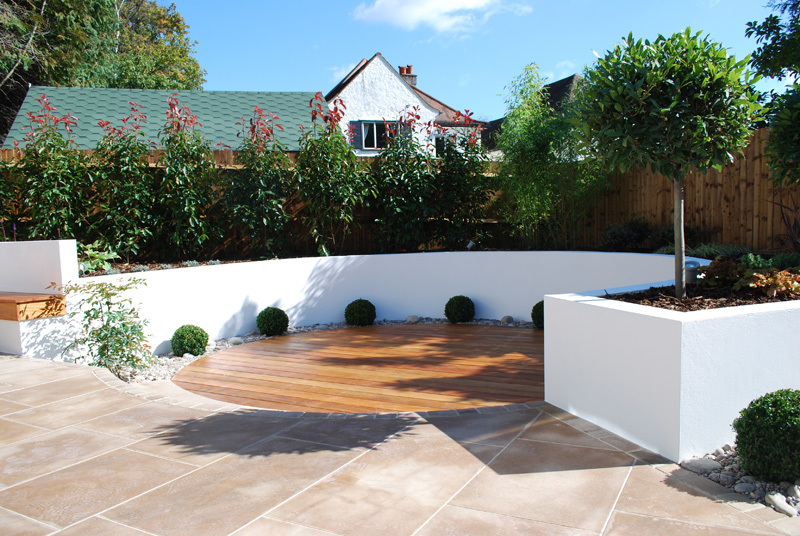 We created a sunken circular deck area for entertaining as well as the Lshaped integral hardwood seating for those informal coffee mornings. 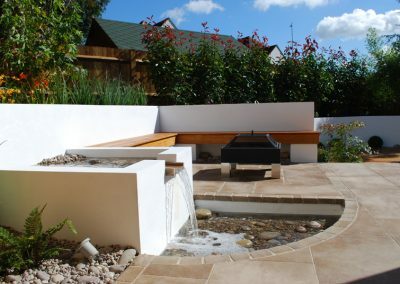 All surrounded with raised rendered walls/beds and with a bespoke water feature to add further interest and a focal point from their conservatory. 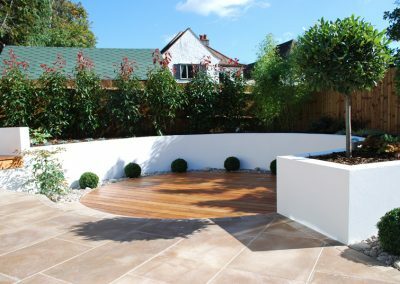 Main Materials: Sawn sandstone slabs, tumbled sandstone edging cobbles, Garapa hardwood Deck/seating and rendered walls.